Ipswich, Suffolk (January 17, 2019) Textron Golf, the Ipswich-based manufacturer and supplier of Jacobsen mowing equipment, E-Z-GO golf cars and Cushman utility vehicles will be showcasing the new Cushman Hauler ELiTE vehicle at the BIGGA Turf Management Exhibition (BTME) in Harrogate in January. 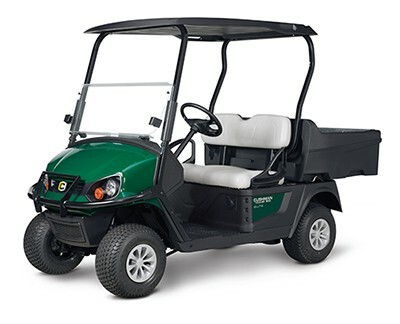 The new Cushman Hauler 800 ELiTE series uses the same advanced technology as the successful E-Z-GO ELiTE series of golf cars. 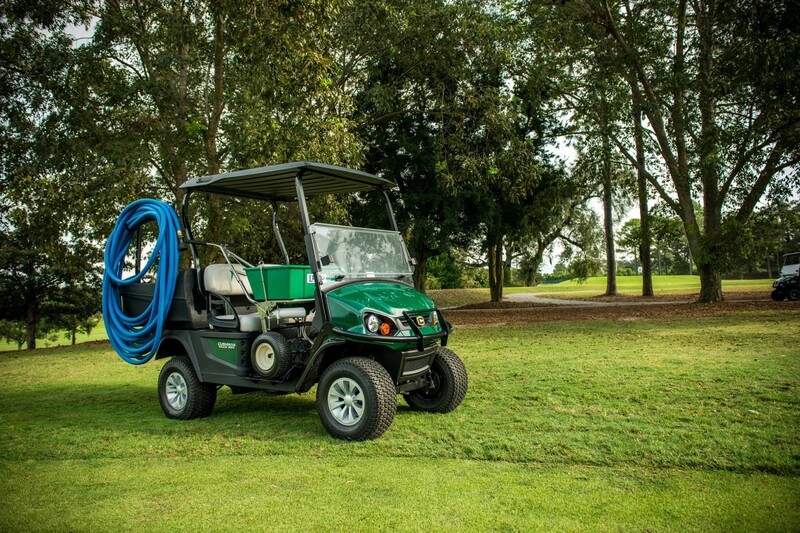 Activated by Samsung SDI lithium power, the Cushman Hauler ELiTE range offers faster charge times, consistent performance and increased range. “The new Cushman Hauler ELiTE series is a natural progression for us,” Richard Comely, International Product Management Director at Textron Golf said. “The E-Z-GO ELiTE series has been a resounding success, and we are very excited to be introducing this ground-breaking technology to other vehicles. The new Cushman Hauler ELiTE series is powered by a 48-volt electrical system and is a two-person capacity vehicle. With a fully customisable cargo bed, highly functional dash and a broad range of accessories, Cushman Hauler ELiTE vehicles have everything a greenkeeper needs to finish job after job. As one of the groundcare industry’s major manufacturing companies, Textron Golf will also be showcasing other mowers and aeration equipment from Official 2018 Ryder Cup supplier Jacobsen, golf cars from E-Z-GO plus Cushman utility vehicles and turf maintenance equipment from Turfco.